Why should you consider installing an aftermarket diesel lift pump on your truck? As diesel performance becomes a more and more mainstream part of automotive upgrading, we have conversations with many of our customers each day about which performance diesel parts they should consider installing to get the fuel economy gains and power increases they want. Knowing which diesel upgrades are critical from experience, even if we start off talking about diesel tuners, cold air intakes, exhausts, injectors, turbos and the like, invariably we steer the discussion to a product like a FASS Lift Pump. Why do we always end up recommending a fuel pump, when many diesel trucks already have one in some form or other? The answer is simple – there are several reasons. Some so compelling, in fact, that we would feel like we had done our customers a disservice if we didn’t educate them. Let’s look at some of the most important. 1) It’s smart insurance – If you’ve ever paid to replace a set of diesel injectors, especially for a common rail diesel, you know that you can easily spend a few thousand dollars or more on a set. A Fuel Air Separation System (FASS) lift pump can protect that investment by removing fuel contaminants like water, dirt, and air. This protects the tip of your injection nozzles and your injectors. 2) Your truck will thank you with better performance – diesel performance is all about improving the combustion event. Cooler air is denser, and more oxygen in the cylinder helps make more power. Thus the popularity of diesel cold air intakes. The better the purity and atomization of your diesel fuel, the better your combustion event will be. 3) Improved diesel fuel mileage – One of the most prevalent methods used to improve power and diesel fuel mileage today is a diesel performance chip. And one of the most common methods performance chips employ to get greater gains in power and fuel economy is raising rail pressure. 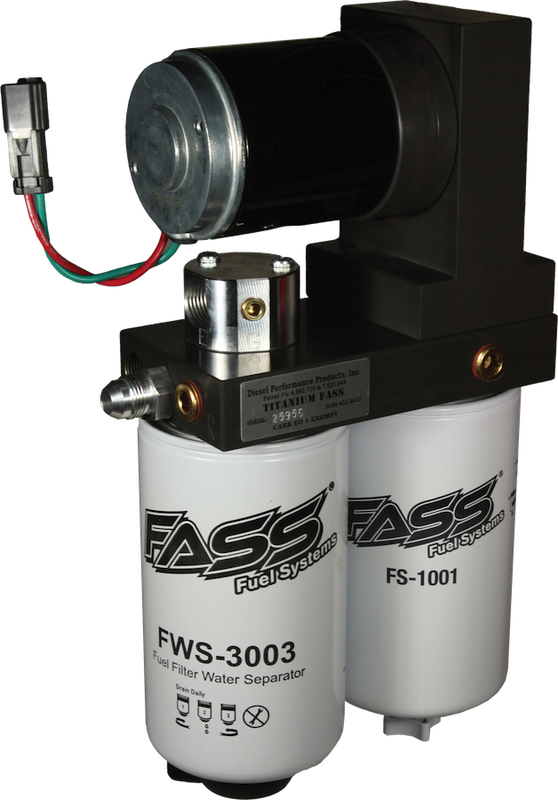 A FASS fuel pump will give your injection pump the support it needs, providing a constant supply of fuel, and at the correct pressure. Whether you use a tuner or not, a FASS pump can give your truck’s fuel economy some real help. For all these and other reasons, we feel confident recommending an aftermarket lift pump like those from FASS for every diesel truck owner on the road. Visit Parley’s Diesel Performance to read more about the different types of pumps FASS offers, and to learn more about this important diesel upgrade. If you have a 2007.5-2012 6.7L Cummins, 2008-2012 6.4L or 6.7L Powerstroke, or 2007.5-2012 Duramax LMM & LML then you have a Diesel Particulate Filter “DPF” on your truck. 2011 and newer Ford Powerstroke and Chevy Duramax trucks also have a Urea Injection system. When deciding which diesel exhaust upgrades to make for your diesel, it is important to understand your choices. So why should you upgrade your exhaust? Your stock DPF-equipped exhaust system has a catalytic converter and a particulate filter, which essentially acts as a soot trap. There are also a variety of EGT (exhaust gas temperature) and oxygen sensors. When the sensors see that the trap is full, your truck increases the EGT’s by adding fuel to incinerate the trapped soot. This process is called regeneration. During this process, the tailpipe temperatures are nearly 2.5 times higher than normal. The most common diesel performance exhaust upgrade for new model trucks is a DPF back exhaust system. DPF-back exhaust systems are designed to improve exhaust flow and cut exhaust backpressure. This is the upgrade for you if you’re interested in keeping your manufacturer warranty intact and your truck street legal in most North American locations. Some companies like Gale Banks Engineering even make DPF Back exhausts with specifically built designs that can help lower tailpipe temperatures. And like the majority of aftermarket DPF-Back exhausts, the Banks Monster Exhaust systems are finished off with large polished stainless steel exhaust tips. A slightly enhanced, deeper exhaust note is another benefit of these exhaust systems. Most delete your stock muffler. If you’re worried that removing the muffler will make for an excessively loud diesel truck, don’t worry. The turbo, catalytic converter, and DPF filter out most of the exhaust noise. 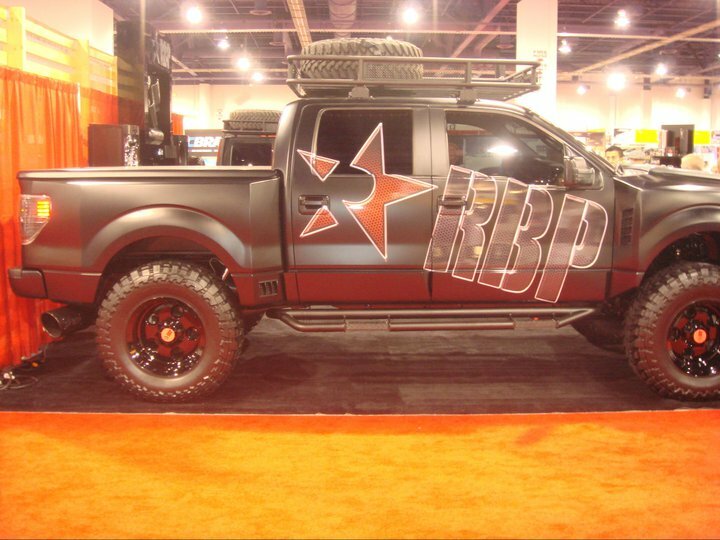 A DPF-Back system just helps your exhaust flow and makes for a better sounding truck. You can always contact us with any questions about the best diesel performance upgrades for your truck. It’s widely known that upgrading your factory system to a performance diesel exhaust is a great way to increase your engine’s power and fuel economy. Because of all the changes to stock emissions systems over the past few years, there now exists some confusion and questions among diesel owners as to which exhaust upgrade is the best option for them. Parleys Diesel Performance wants to help you make an informed and educated choice, so let’s start by reviewing the basics. Traditionally, light duty diesel truck factory exhaust systems were 3 inches or 3.5 inches in diameter, with crimped spots along the diesel exhaust system that hampered flow and robbed your vehicle of its true potential. Installing a performance system to increase the diameter of your exhaust allowed your engine to expel exhaust gasses more efficiently, and mandrel bends gave your exhaust a true 4″ diameter. Diesel trucks today come from the factory with catalytic converters, diesel particulate filters, even urea injection systems (also called SCR or selective catalytic reduction). And 4 inch stock exhausts are commonplace. So which exhaust should you choose for your truck? If you have a “pre-DPF” diesel pickup (anything before the 2007.5 6.7L Cummins, 2008 6.4L Powerstroke, or 2007.5 Duramax LMM) the most common diesel exhaust upgrade is a four inch turbo back exhaust system. The standard 4″ diameter will meet most people’s needs; however, if it’s your intention to upgrade your vehicle to a high horsepower level (think over 550HP), we recommend you invest in a 5″ diesel performance exhaust system. This will allow the larger amount of exhaust your high horsepower diesel creates to flow properly and keeping temperatures down. In addition to figuring out the diameter of the exhaust system you want for your truck, there are also some other important choices to make. Diesel exhaust systems come in four main materials: T-304 Stainless Steel (high-polish show finish quality), 409 Stainless Steel , Aluminized Steel (similar to your original stock exhaust), and different variations of Black Stainless or Black Aluminized Steel. You also need to decide whether you want to have a muffler or not, and if you do choose a muffler, do you want one that is a high flow performance muffler or one that keeps your exhaust volume low. The majority of Turbo-Back Exhausts come with high flow performance mufflers. If you want a “straight pipe” exhaust, meaning no muffler, a popular choice is the no-muffler series from MBRP Performance Exhaust. Their stainless steel SLM (Stainless Less Muffler) and PLM (Performance Less Muffler – this is aluminized steel) are very competitively priced and work great. 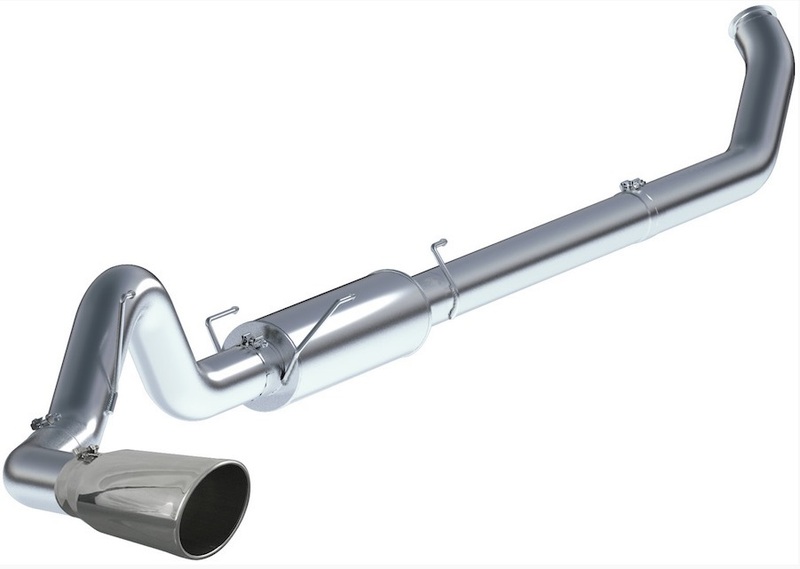 Although less popular, catalytic converter or Cat-Back Diesel Exhausts allow you to upgrade the sound and flow of your exhaust and in some areas are necessary to keep your diesel street legal. With exhaust systems from all the best manufacturers, Parley’s Diesel Performance can help you choose the proper diesel exhaust system for your truck. Whether you choose to install a Cat-Back or a Turbo-Back diesel exhaust, or if you just aren’t sure and would like help deciding, contact us and we’ll help you make the right decision. In part 2, we’ll help you choose the right exhaust system if you own a DPF-equipped diesel truck. If you are like many new Chevy Silverado HD & GMC Sierra HD owners, you’re looking for options and ways to upgrade the look and sound of your new diesel. May we suggest for your 2011-2012 Duramax 6.6L LML exhaust the new performance diesel exhaust system from Gale Banks Engineering. Banks Monster Exhaust systems are 100% stainless steel and streamlined with heavy-wall tubing and constant-diameter bends. Finished off with Banks’ proprietary CoolCuff exhaust tip technology, this is a meticulously designed & tested DPF-back system that actually delivers cooler diesel exhaust gas temperatures. 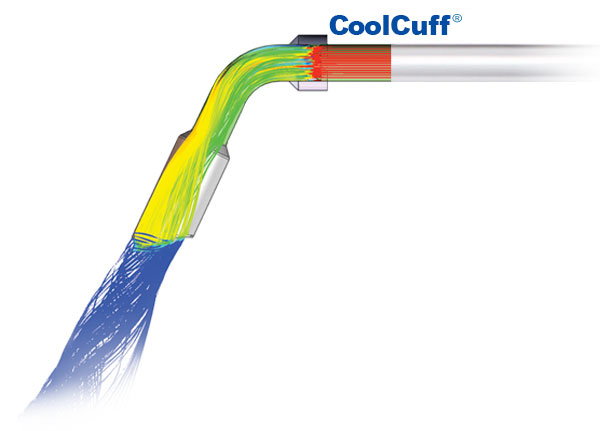 It also cuts back pressure by up to 57% and has air-flows up to 80% better than your stock Duramax exhaust. And of course no Banks Monster Exhaust or Banks Monster Sport Exhaust would be complete without an impressive 6″ rolled edge polished-stainless steel tailpipe. It’s double-walled design features a 1/2″ air gap preventing heat from tarnishing its mirror finish. The 4″ Banks Monster exhaust sounds great too, with that proven deep aggressive exhaust note diesel enthusiasts crave. 100% stainless steel – no aluminum here! Parley’s Diesel Performance carries a complete selection of Banks Monster and Monster Sport Diesel Exhaust Systems for all of today’s diesel trucks and VW TDI’s. Want to increase your diesel fuel economy? 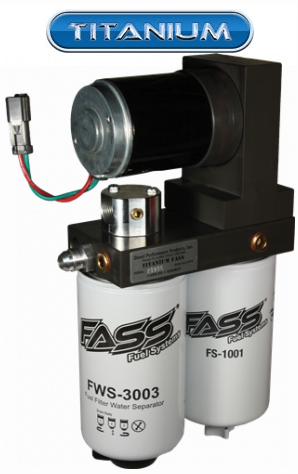 Fass lift pumps are a great way to increase your engine performance and diesel fuel economy by removing air and water from your fuel. It is well known that as your truck moves the diesel fuel in your tank is constantly in motion. This creates multiple problems with fuel delivery to your engine. While the injection pump draws fuel from the tank it’s creating a vacuum that produces fuel vapor and as the vehicle is in motion it creates fuel vapor that is mixed with the air. Resolve that issue by installing a FASS Lift Pump from Parley’s Diesel Performance and as a added bonus you will get higher power and reduce injector tip erosion. Typical No. 2 Diesel Fuel already consists of about 10% air. That issue is compounded by dirt and other debris that can be found in a diesel fuel tank. A FASS Lift Pump will address these issues head on by meticulously filtering out such problematic air & vapor (along with other contaminants in the fuel) before it reaches your truck’s injectors. Knowing about these latent dangers in the fuel at the diesel pump, can you really go on feeding it untreated to your truck? We at Parleys Diesel Performance strongly advise against it… and believe a FASS diesel lift pump is an excellent diesel performance upgrade choice. Get the most out of your diesel engine and your fuel dollar with a FASS fuel pump from Parleys Diesel Performance. Dr. Performance Is Out Of Business – Now What? Because we still get phone calls every day asking for information about Dr. Performance power modules, we wanted to let you know that they went out of business in the summer of 2011. Questions we are most often asked include “How do I get warranty work on my Dr. Performance module that I bought a few years ago?” and “Do you know how we can get in contact with Dr. Performance?” The unfortunate truth is that they are completely out of business, haven’t answered their phone in almost six months, and any repair work on a damaged or faulty Dr. Performance module at this point is impossible. The most frequent question we hear from customers interested in a diesel performance module next is “Since Dr. Performance modules aren’t available, are there any other manufacturers of diesel power modules?” Thankfully we can answer in the affirmative that there are several companies that make diesel performance modules that have the same beneficial characteristics that Dr. Performance modules had. Some of the reasons Dr. Performance modules were so popular included improved power without increased operating temperature, they were great for towing, and they gave substantial diesel fuel mileage improvements. They were also widely used as a trustworthy pressure box by diesel owners who wanted to “stack chips.” It didn’t hurt that the majority of them didn’t leave a footprint in the vehicle’s ECM because they were simply rail pressure boxes that uninstall quickly and cleanly from the rail pressure sensor harness. Depending on the diesel truck you drive, we recommend a power module from two different manufacturers. If you’re looking for improved 6.4L Ford Powerstroke performance, we really like the TS Performance Power Play MP-8. On the 6.4L Powerstroke, the MP-8 is a fuel pressure only power module that adds up to 100 Horsepower and installs in just minutes by plugging in to a 15 pin fuel sensor connector. Just like the Dr. Performance module, the Power Play MP-8 doesn’t increase your diesel exhaust temperatures and most users report gains of 2-4 mpg in fuel economy. 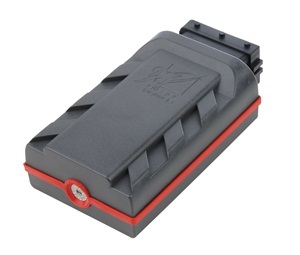 For common rail owners looking for improved Cummins diesel performance or Duramax diesel performance, the Digi CRBB Power Module from DieselPower has quickly become our favorite choice here at Parleys Diesel Performance. Backed by an unheard-of 3 year manufacturer warranty and built from some of the best electronic components available, the DieselPower Digi CRBB is easy to install, doesn’t leave a “footprint” in the truck’s computer, can be adjusted quickly to any desired power level, and adds a decent amount of horsepower. Because the Digi CRBB is a fuel rail pressure module it can be “stacked” with a Smarty programmer on the Dodge Ram Cummins diesels yielding loads of power that you almost have to feel to believe. Operating temperatures are kept down, and if you don’t drive the truck like you stole it fuel economy can be improved significantly. The Digi CRBB is also effective for “stacking chips” when using EFI-LIVE tuning on your Chevy or GMC Duramax diesel. If you have any questions about these or other options for your diesel truck, call us and we’ll be happy to help. 2011 Duramax Diesel Performance Chip Available Now! Display current gear on vehicles with auto trans. 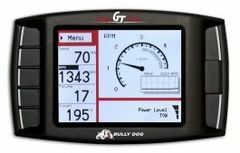 If you previously bought your GT Diesel tuner from Parleys Diesel Performance and just recently purchased a brand new Duramax LML, don’t worry; you can update the tuner for free, online, using the Bully Dog Update Agent. This tuner is universal, meaning it works on all Chevy/GM, Ford and Dodge diesel trucks. However, on 2011 model diesels tuning is only available for the Ford 6.7L Powerstroke and the 6.6L Duramax. The 2011 Dodge Ram Diesel tuning will be available in the future. Look for more updates soon! Many people decide to install a performance chip, or diesel performance parts tuner on their diesel engine in order to make more horsepower and improve diesel fuel mileage. Although a tuner makes a significant improvement, it only does half of the job when it comes to power optimization. The other half of the equation involves air; many people seem to forget that the increased airflow provided by a performance turbo is critical to improving power and fuel mileage. Parleys Diesel Performance carries a complete line of performance turbos for Dodge Ram Cummins, GM Duramax and Ford Powerstroke pickup trucks. 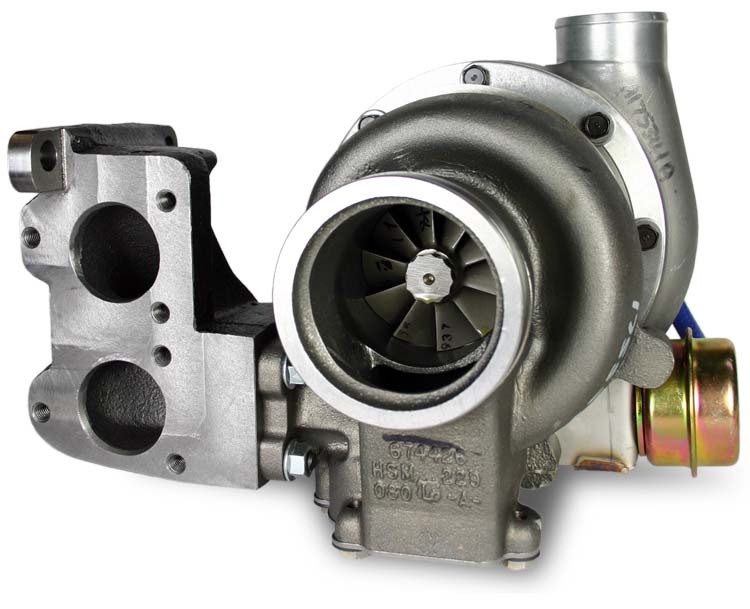 For 2001-2007 GMC/Chevy Duramax owners, a performance turbo that we highly recommend is the SuperMax Turbocharger Kit by BD Diesel. Now what does this “performance turbo” actually do for you? The SuperMax can add enough airflow for 550 rear wheel horsepower (rwhp) at 40 lbs. of boost on diesel fuel only. The compressor wheel on the SuperMax Turbocharger spools quicker, while the overall efficiency lowers EGT’s. That’s not all, it reduces exhaust emissions and improves fuel economy. That is the overall goal of most diesel owners; to improve power and fuel mileage without damaging your truck. 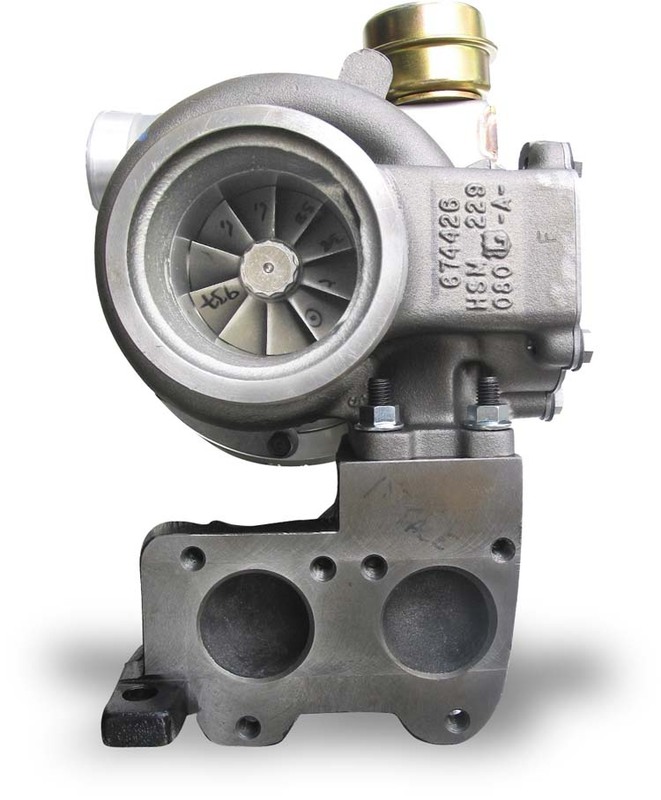 BD Diesel backs their turbo with a one year parts and labor warranty for the SuperMax. If you are thinking about upgrading the turbo on your diesel, count on the pros at Parley’s Diesel Performance to help you choose the right one. The Specialty Equipment Market Association (SEMA) throws a huge convention every year. Each year at this convention, companies that manufacture aftermarket parts for vehicles get to “show off” new and old products. Here at Parley’s Diesel Performance, we took the opportunity to meet some of the companies that we do business with and also check out the new and exciting products that are going to be affecting the diesel performance parts industry this coming year. Check out some of these pictures; there were massive Ford Powerstrokes, as well as some of the coolest lifted Duramax and tricked out Dodge Ram Cummins trucks that we have ever seen. Each company spared no expense in upgrading their diesel truck to the maximum of its potential. If you want to see more pictures check out our Facebook SEMA Photo Album. The End of Duramax Performance? So with diesel prices being so high lately, I figured it was probably a good time to go see what kind of deal I could get on a new truck. Now while I love my Dodge, and would really love a new mega cab, there is just something about the look of the new LMM Duramax and the Duramax Performance scene in general that just draws me in. Maybe its the sturdy look or the clean lines both inside out out; the designers at GM have definitely outdone themselves on this model, with a few exceptions. Visit Parley’s Diesel Performance for all your diesel performance parts needs.